Easter is a time of renewal, rebirth and revival. Sunny days are around the corner, the buds are on the trees, and the daffodils are nodding their lovely yellow heads. No matter what your religious leanings, the Easter holiday is the perfect opportunity to get see family and friends and enjoy some really good food. And let’s face it – that includes some delicious chocolate. 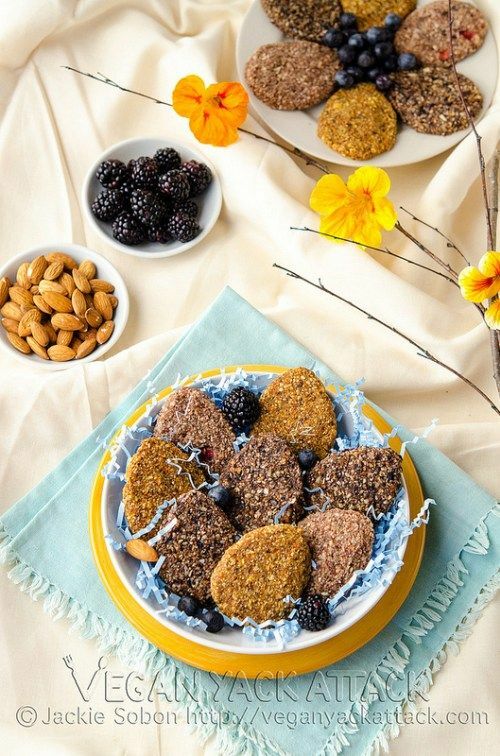 But forget all of that commercialized, sugary packaged stuff on the shelves of supermarkets – this season you can make your own yummies with these healthy vegan Easter recipes, below. These go way beyond chocolate: there are also vegan friendly hot cross buns, carrot cakes, and of course, the all important Easter lunch. Now, let’s get hopping! I don’t know about you, but in my household, we traditionally began with the egg hunt (ok, let’s be honest – the chocolate egg hunt!) 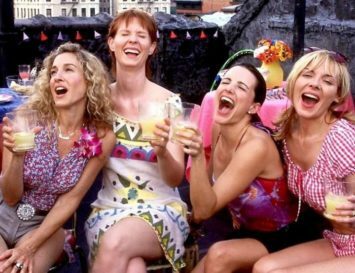 before Easter lunch, and that’s why I’m starting this list with the sweeties – to be followed by some really nice vegan Easter lunch recipes, of course! 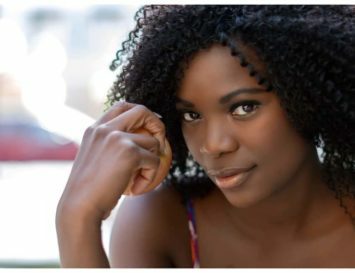 These are not only gorgeous, but are super easy to make, too. I would highly recommend using Loving Earth or Raw Halo vegan chocolate, or if you like, the darkest darned chocolate you can find, for the antioxidant boost. 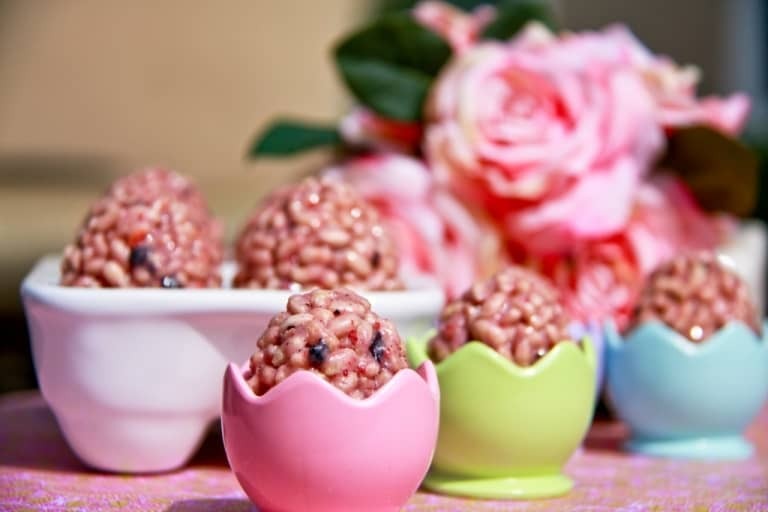 Fill them in with number 4, Raw Mini Eggs, below, and watch faces light up as you serve these! 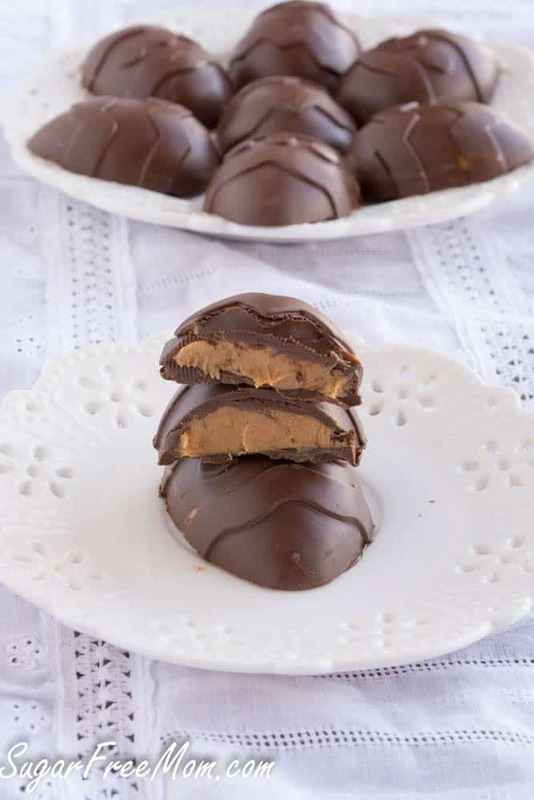 If you’re someone that likes a little bit of a peanut butter twist to their chocolate, these gems are definitely for you. 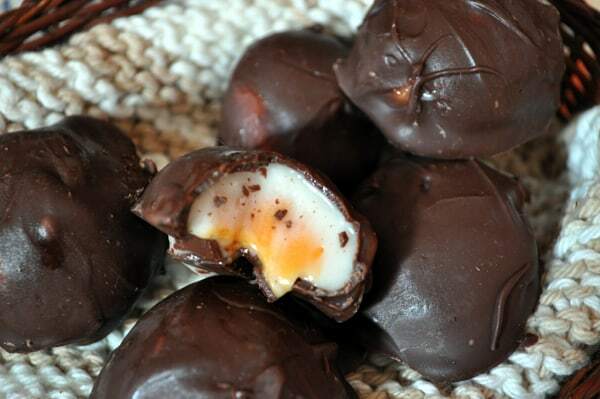 They’re a vegan take on the popular Reese’s peanut butter cups, but in little eggs instead. You’re going to need to have a cute little egg mold on hand, or a mold in any sweet little shape, actually. But apart from that, these are super easy to make! 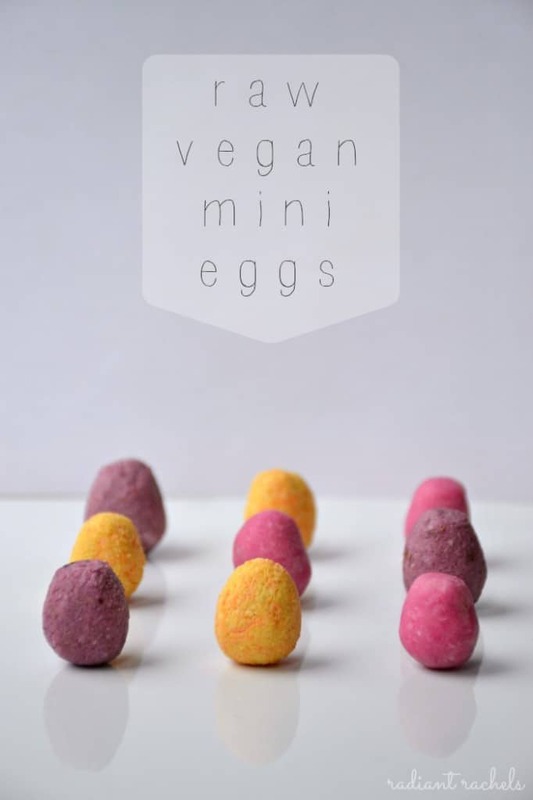 Remember those little speckled eggs you’d enjoy at Easter? Admittedly, tastier than a real egg, but not healthy if you take into account all of that sugar and milk. So, why not make your own? Especially when it’s this easy. They’re raw, too, which means no baking. So even the most undomesticated of us can enjoy making a plate of these. First and foremost, these are adorable! They’re like something that just fell out of Willy Wonka‘s workshop. Secondly, they’re super easy to make! It’s basically crisped rice cereal, vegan marshmallows and freeze dried raspberries. Need I say more? Wondering where to get vegan marshmallows? Just click here. Before adapting to a plant based lifestyle, if anyone would have mentioned avocado and chocolate in the same sentence I would have thought they were going barmy. But having tried various recipes now from smoothies to chocolate mousse that include both avocado and cacao, I’m 100% converted. 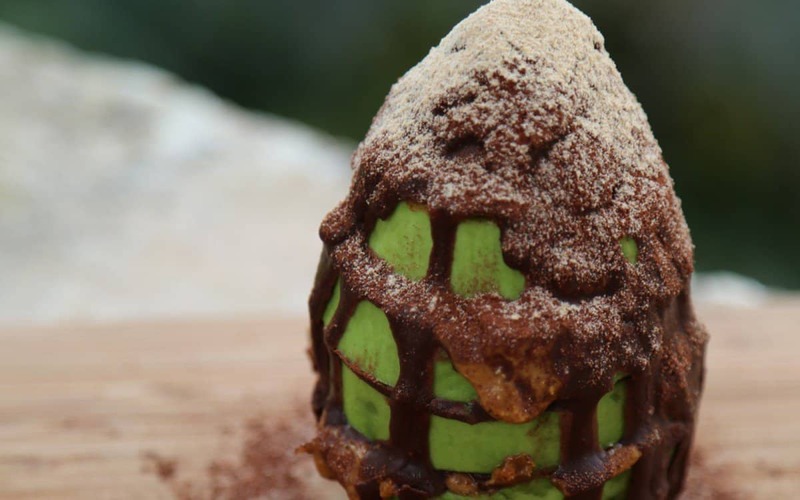 So why wouldn’t an avocado be the perfect Easter egg? The ripened avocado is sliced and layered with smooth, rich and decadent chocolate and creamy almond butter. It’s finished with a dusting of cacao powder and a drizzle of melted chocolate down the side. Why not hollow it out and fill it up with number 4, above? I predict these are going to be a healthy winner this Easter. How adorable are they, seriously?! 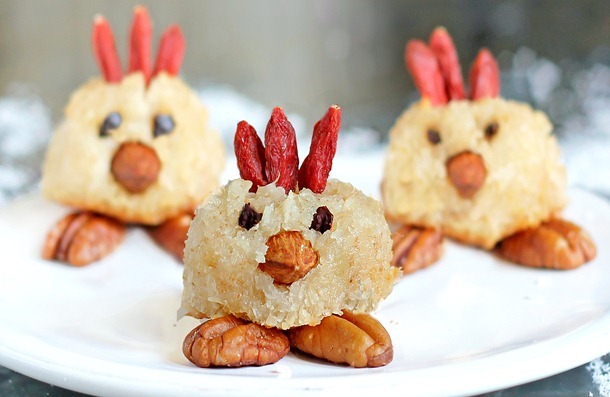 Whether you choose to get creative in the kitchen with little ones or want to make some up for an Easter morning surprise, they’re going to squeal with delight at these coconutty chicks. Because why should Santa get cookies and not the Easter bunny?! 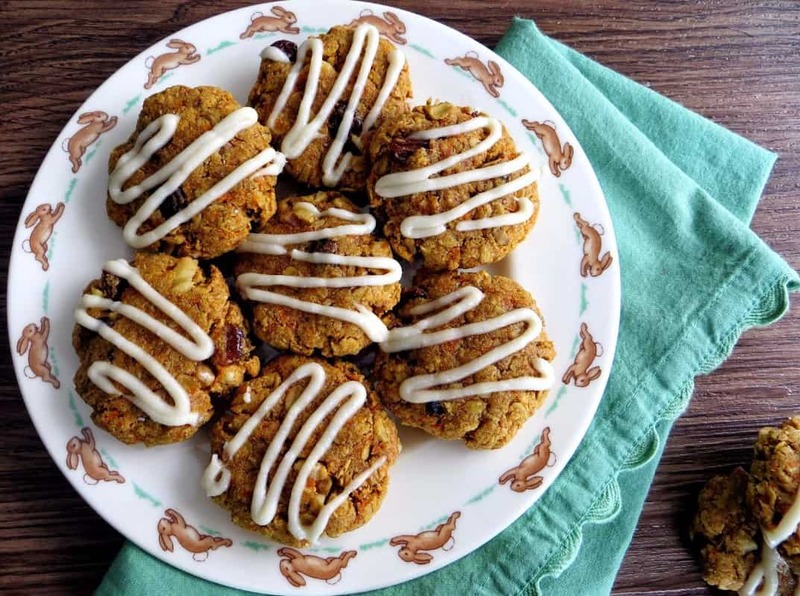 These are the perfect cookies to make with your little ones this Easter. And of course they had to be carrot cake, as we all know bunnies like carrots! Simple to make and finished off with a drizzling of coconut and maple syrup icing – delicious! 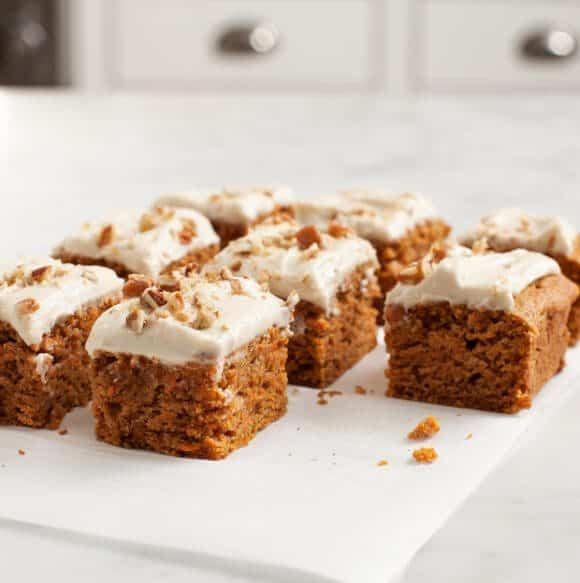 If Easter evokes images of bunnies and carrots, well, carrot cake isn’t that far off, right? And this fluffy vegan version comes coated in a sweet and sticky ‘cream cheese’ icing made from rich, creamy Macadamia nuts! The great thing about making raw foods is that they’re pretty easy to make, and most of the time the ingredients are ones we already have in our cupboards (or pantry if you’re fancy). And with three flavours, strawberry mint, berry vanilla and carrot cake, there’s a cookie for all us to enjoy. This traditional recipe has had a little bit of an uplift with the addition of…bananas! They add a nice, sweet, gooey edge and are perfect for when eggs aren’t being used in a recipe. These would taste delicious toasted and with a little hazelnut spread. This bread looks great and I think this is a fantastic recipe to re-produce over Easter. There’s something about cinnamon in baking that I just adore. This bread will not only taste festive, but will go down a treat with a pot of tea and even a little coating of peanut butter. 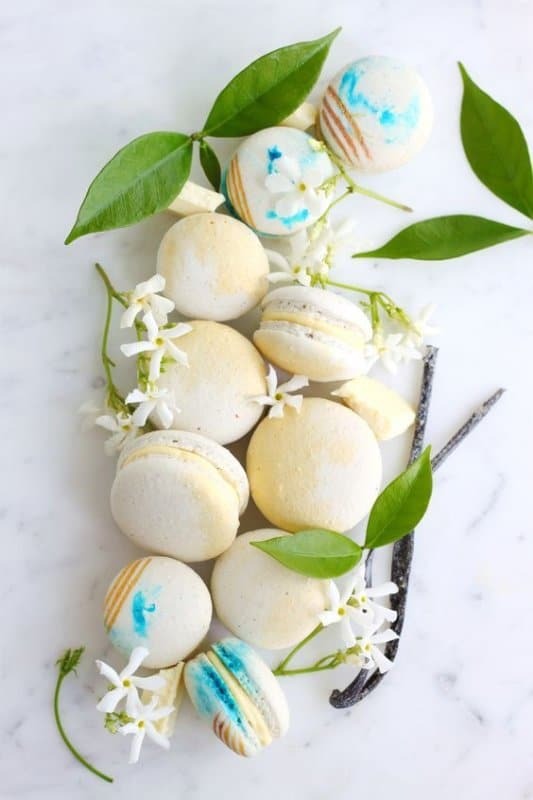 Macarons just ooze sophistication! 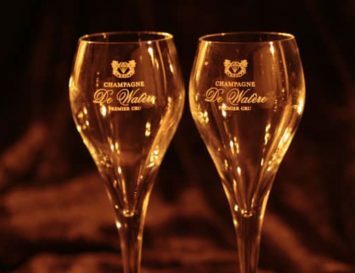 Especially when they’re flavoured with the exotic taste of vanilla, mixed with floral jasmine. 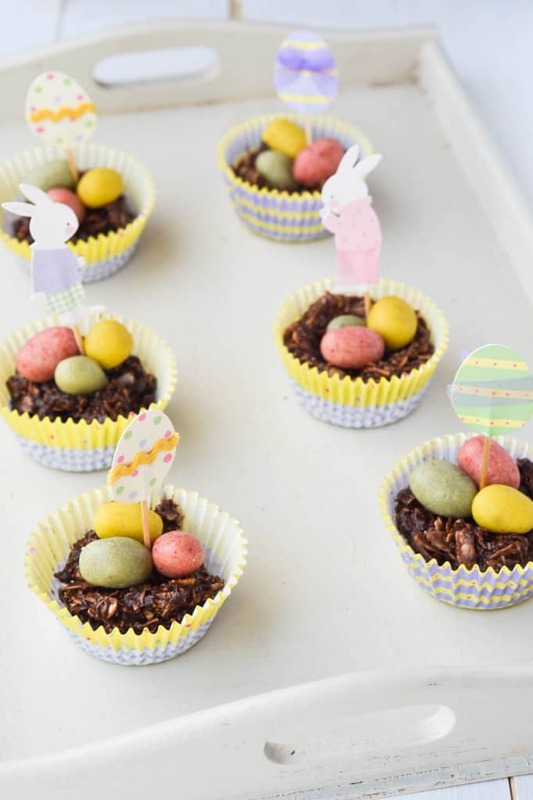 These make the perfect little treat to whip up this Easter. Whether you choose to pack them in a box for family and friends that will visit, or to just serve up as a dessert after dinner, these are going to surprise everyone with how super fancy they look. For many of us, Easter is about spending time with our loved ones and enjoying some good food – like many other holidays. But the sad thing for vegans is that this is one of the meatiest holidays around! Forget turkey: ham, lamb and eggs are typical on the table at this time of year. Sometimes, all at once! But you can still enjoy the trimmings of a ‘traditional’ Easter lunch or dinner, with a bit of creativity. Soup is a pretty quick and easy recipe to create but can be surprisingly filling. 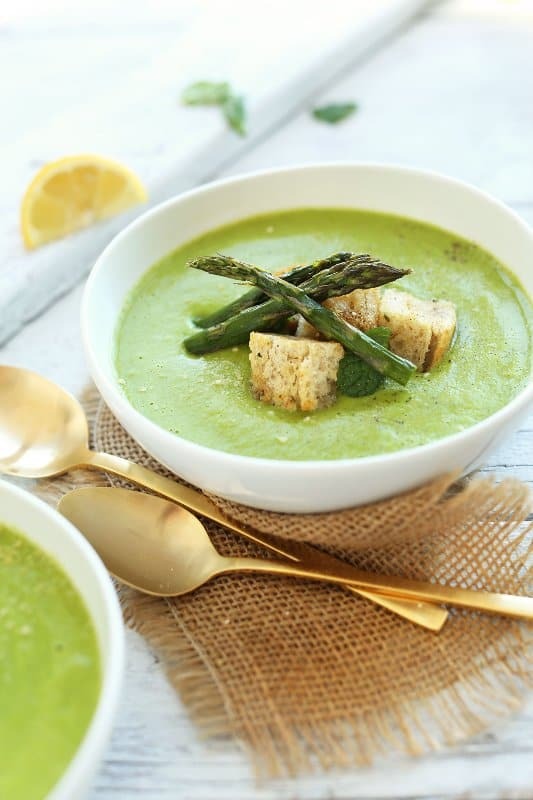 And this pea and asparagus based recipe proves that soup doesn’t have to be bland and watery – this is super creamy and vibrant. Serve it up with some delicious chunks of homemade bread. 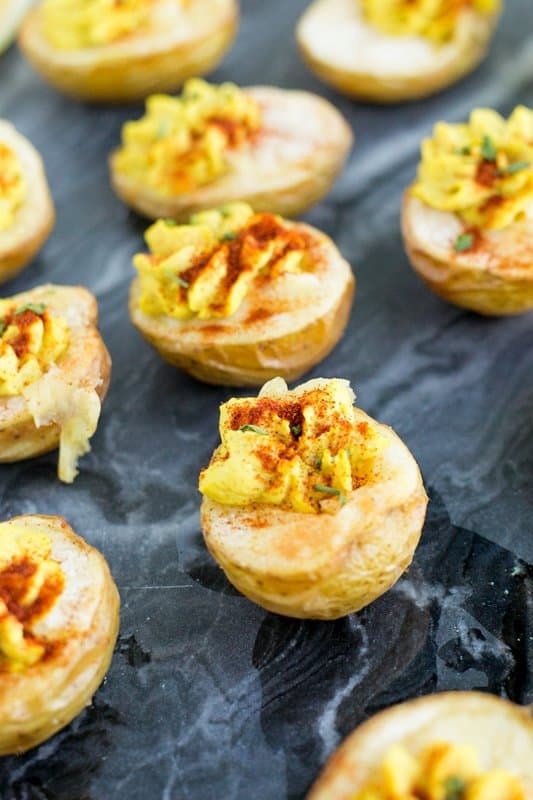 Remember that popular deviled egg recipe from the 60s? Basically, just eggs that have been stuffed with their own yolk. Well, if you’re vegan, these devilish potatoes are great alternative. 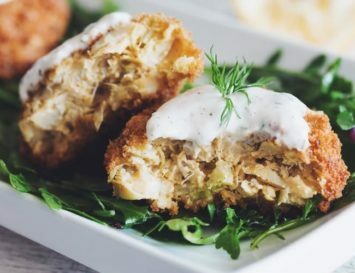 The best part is that they still have that creamy texture thanks to the chickpea filling. 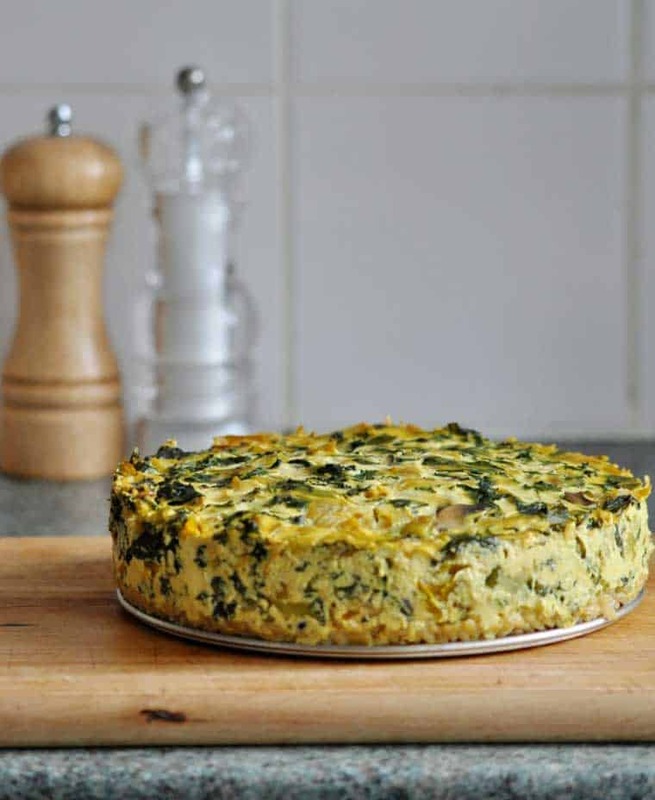 Why not serve up this delicious looking quiche this Easter? Not only will it look great placed on the table, but it’s jam packed with goodness and flavour. 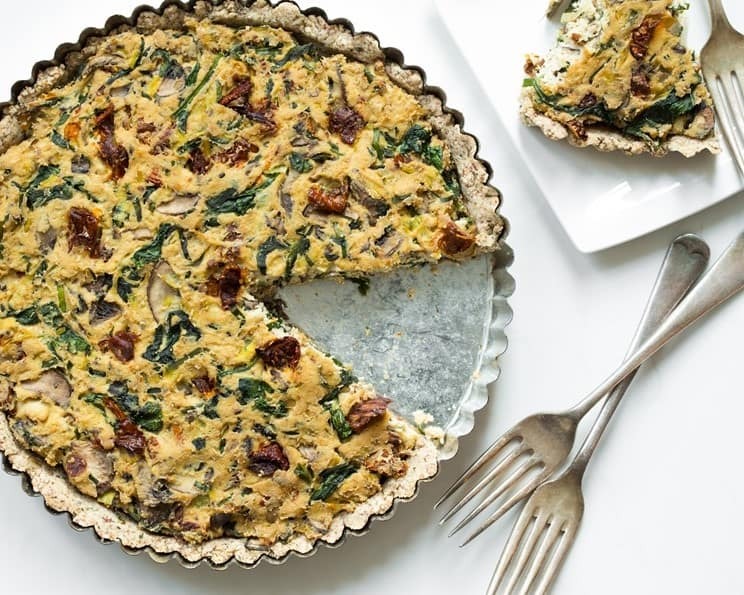 Serve it up with some veggie slaw, a spring kale salad and some roasted potatoes, I predict everyone is going to enjoy having a slice! Let’s face it, carrots don’t always have the best reputation. Some of us are scarred for life from when our grandmothers would serve up mushy, overcooked carrots – or worse, rubbery, crinkle cut ones that were heated up from frozen. 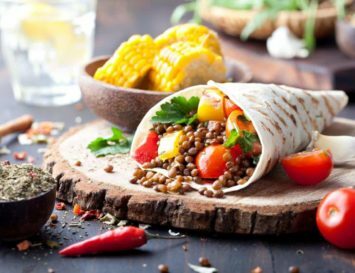 Well, it’s time to put your faith back into this veg by serving up this delicious recipe for Easter lunch. 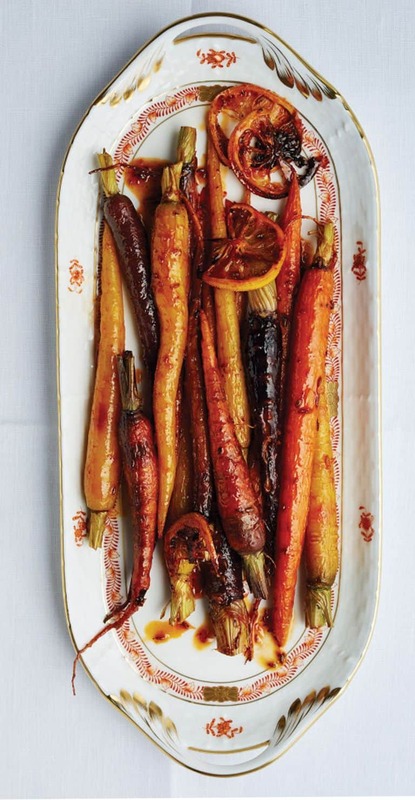 Not only do they look the part – aren’t rainbow carrots, like, the coolest? – but these are coated with a mixture of harissa paste and maple syrup, giving them a sweet and spicy vibe. Have you ever cuddled a piggy? They’re adorable! As smart as the smartest dog, and as loyal, too. How anyone could ever eat one is absolutely beyond me, especially at Easter, a time for celebrating life. 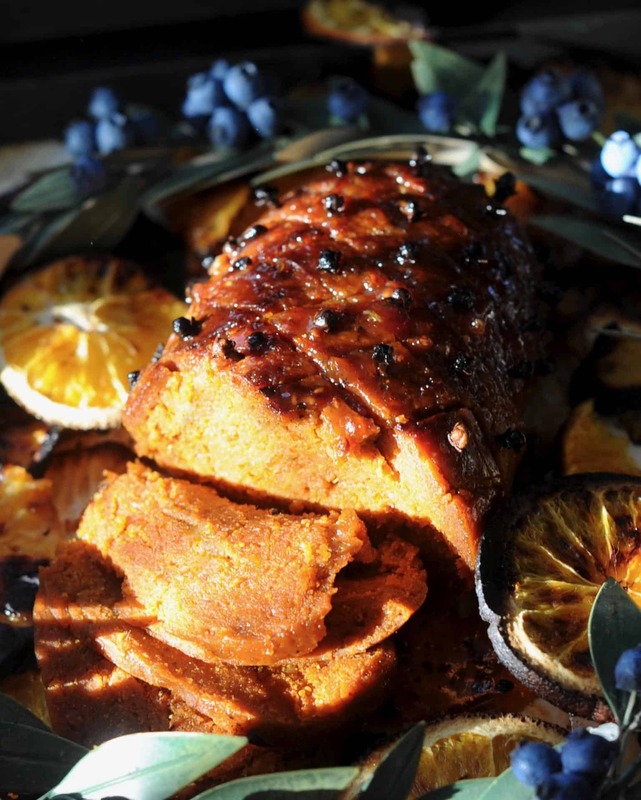 This vegan ham, made from gluten, liquid smoke, pineapple and other ‘hammy’ ingredients, makes a delicious main course for Easter, and its meatiness will please the carnivores invited for dinner, too! 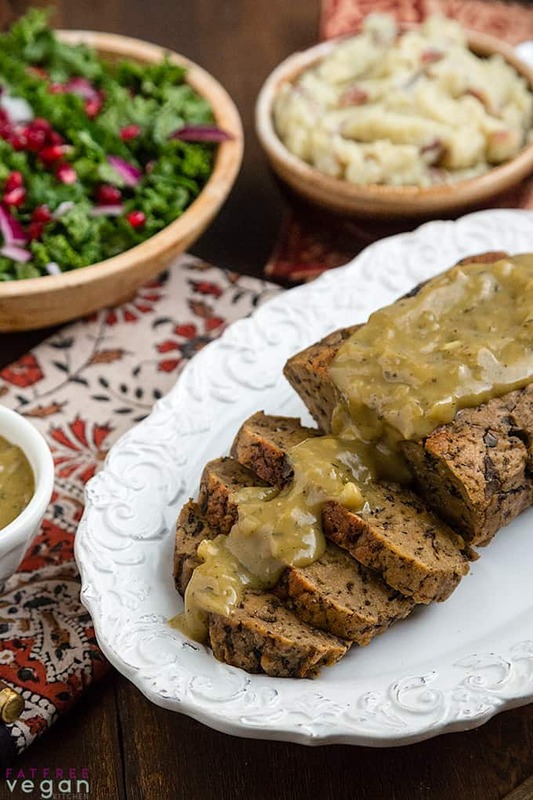 If you’re vegan, it can be hard to find a winning main course dish you can serve up at the center of the table, but this seitan-mushroom roast is just the thing! 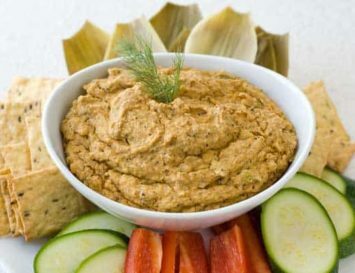 Serve it with mashed potatoes, vegan gravy and some salad for a healthy and hearty meal. This is yet another gorgeous option to serve up in the middle of the table as a main course. It features tofu, rice and loads of veggies, making it not only super healthy, but super filling, too. 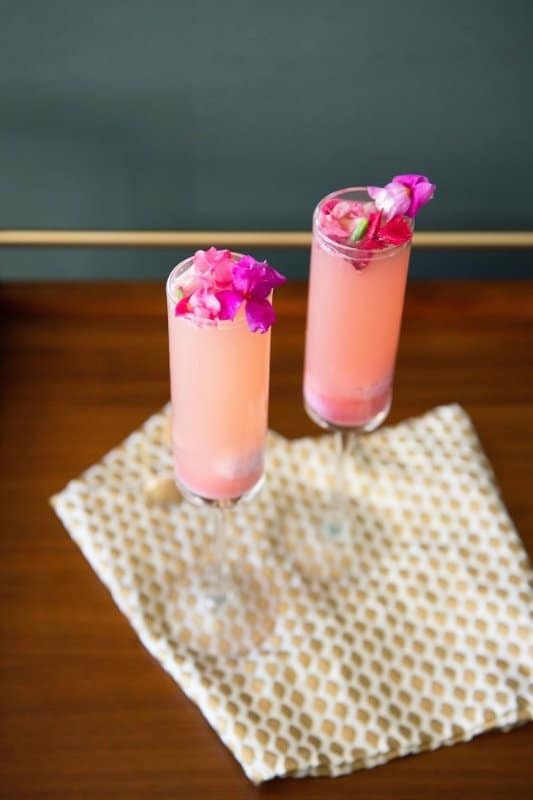 What’s Easter without a spring themed cocktail to celebrate? These mimosas are perfect for the season, with their gorgeou pink hue. The blackberries give the drink its candy pink colour, and I love the fresh flower garnish, too! 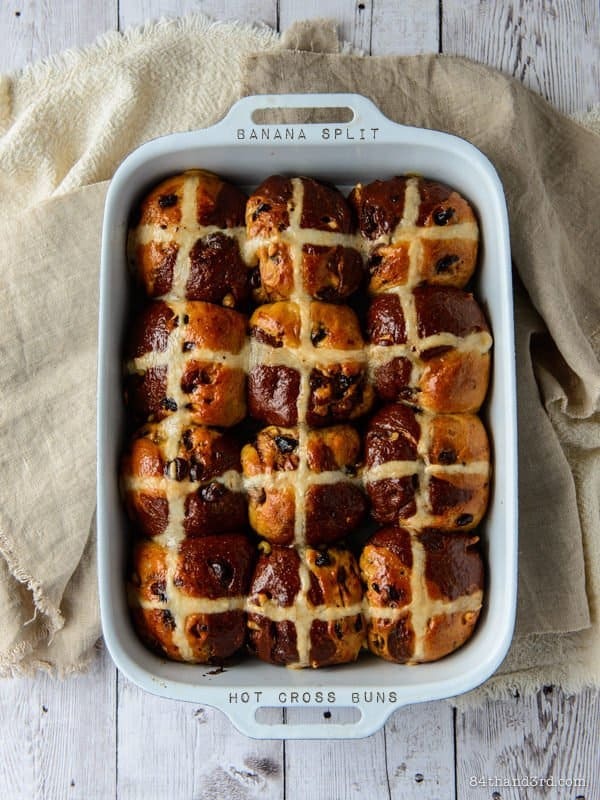 Main image: Mary Berry’s hot cross buns. Get the recipe here.